A study by transport consultants into the future of Island Line, costing up to £20,000, has been ordered by the Isle of Wight Council. The council says it does not have the money to finance the proposed transport task force, so has ordered the study, by Atkins Global Consulting. This will look into the costs, benefits and risks of the different approaches to the future provision of rail services on the 8.5 mile route. Government cash to pay for the proposed task force has not been forthcoming, according to the authority. Council officers are due to travel to Whitehall next week to meet with Department of Transport (DfT) officials and the Atkins report is expected to be completed by the end of August in time for the government to see it ahead of its spending review deadline of September 4. 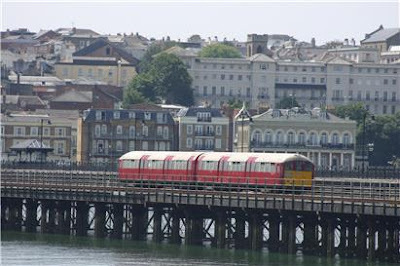 Council leader, Cllr Jonathan Bacon, said: "In an era governed by the national austerity agenda, we must consider the possibility the government could omit Island Line from the South West franchise altogether in order to secure greater financial benefit from the wider franchise. "The council must be in the best position to influence the DfT’s deliberations on the subject from an informed point of view. We must be clear about the potential for maintaining and improving Island Line as part of the franchise, while setting it against the serious risks arising from it being left out." Atkins have been used by Isle of Wight Council before, overseeing management of the PFI contract.